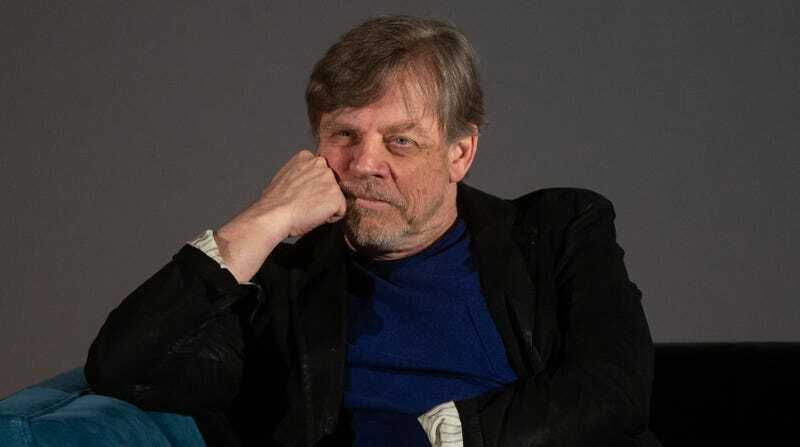 Mark Hamill thinks there's a "possibility of Star Wars fatigue"
I’m not gonna tell them how to run their business, but is there a possibility of ‘Star Wars fatigue’? Yeah, I think there is. I’ve experienced it, to a certain degree. But they never listen to my ideas anyway, so who needs ‘em? Yeah! Take that, Lucasfilm! Who needs you, anyway? (Except for the many hundreds of people you employ and also maybe Luke Skywalker, who appreciates his paychecks.) To be fair, Hamill isn’t entirely off base. The general response to Rogue One and Solo was tepid at best, despite sizable box office numbers. And with the announcement of not one, but two new Star Wars film trilogies on the horizon (one from Rian Johnson, the other from Game Of Thrones duo David Benioff and D.B. Weiss), as well as a pair of new TV prequels on Disney+, there’s definitely potential for audiences to become more disenchanted with the franchise. Or maybe we’re just ready to be done with this whole Skywalker saga and everything connected to it.